Are you fed up with your cluttered closets? Join the club. I recently conducted a (very unscientific) Facebook poll asking readers which areas of their homes needed the most help when it came to decluttering and organizing. The majority of respondents answered, “Help me organize my closets!”. So, I put on my superhero cape and went straight to work. 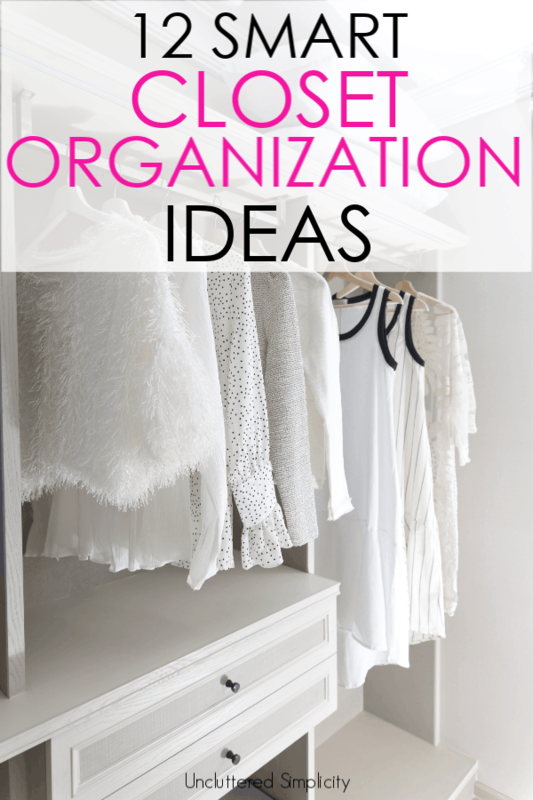 I searched high and low for the best ways to organize your closets. From shelving to shoe racks and everything in between. 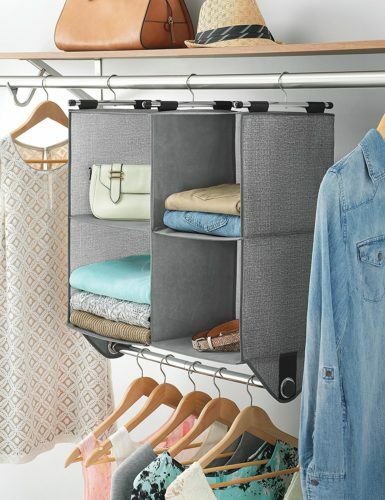 Here are 12 storage solutions for closets that will rock your world. 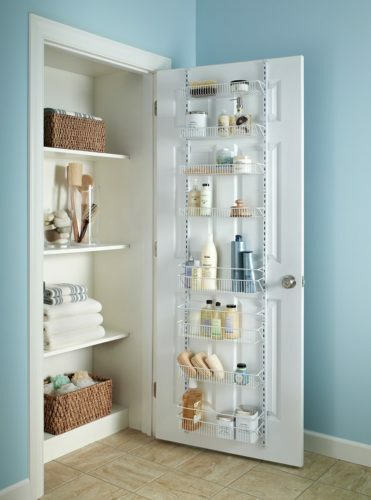 It’s no wonder why so many people suffer from cramped, unorganized closets. First, most of us own way too much stuff. Second, the majority of us do not have spacious walk-in closets in which to store our stuff. In fact, the average size of a closet is less than 8 feet wide by 2 foot deep. 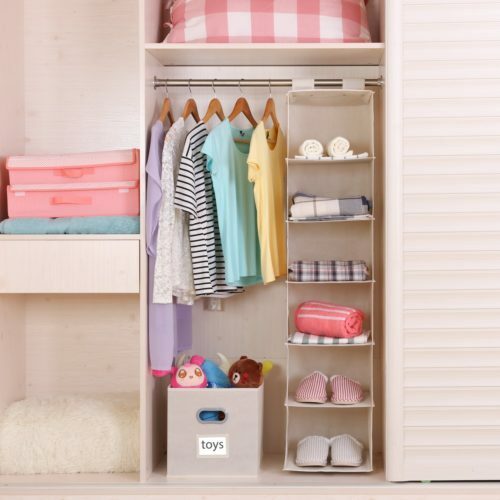 Here are some affordable storage solutions that will help you maximize your closet space no matter what size closets you have. 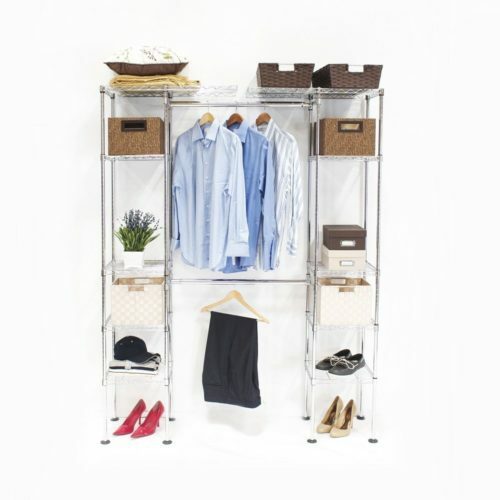 When trying to organize your closets (especially small closets) you can’t go wrong with wire shelving systems. 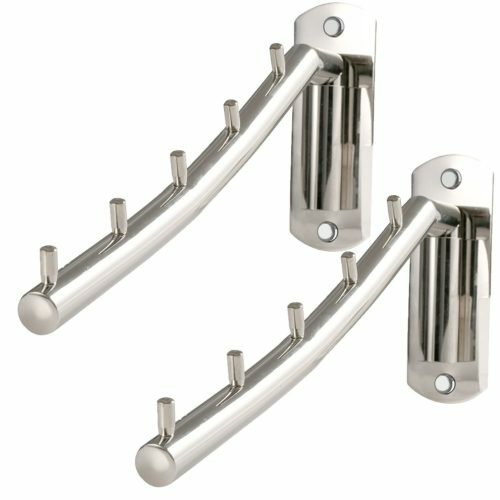 Of course, you’ll need to measure carefully and put in a little elbow grease to get the job done, but the results are totally worth it. I use systems like these in my own closets. 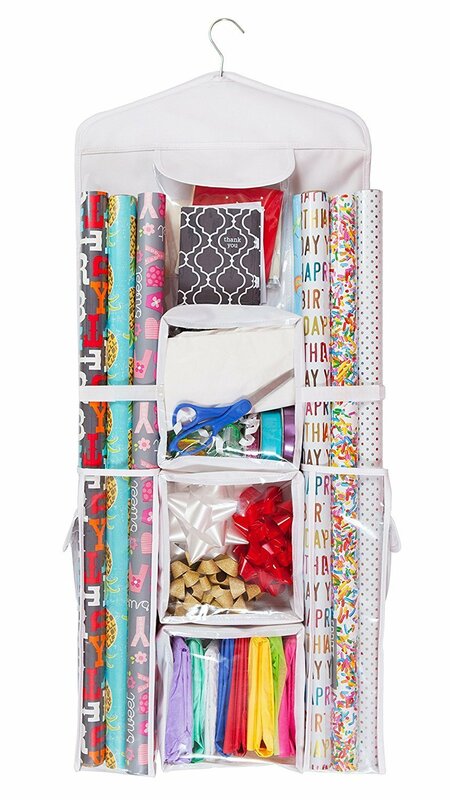 If you’re looking for an affordable closet storage solution, these fabric organizers are just what you need. 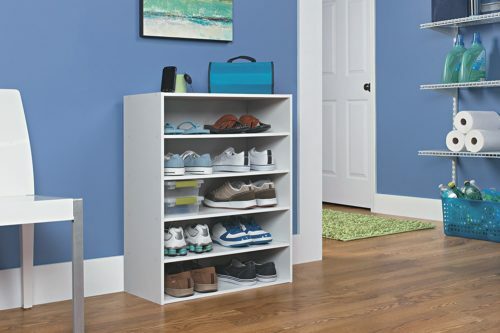 You can use them to store shoes, games, bulky clothes, toiletries, and so much more. 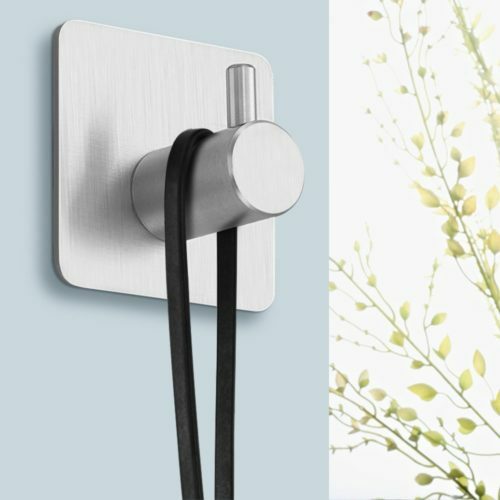 I’ll confess, as a semi-professional organizer and frugalista, I love me some storage hooks! 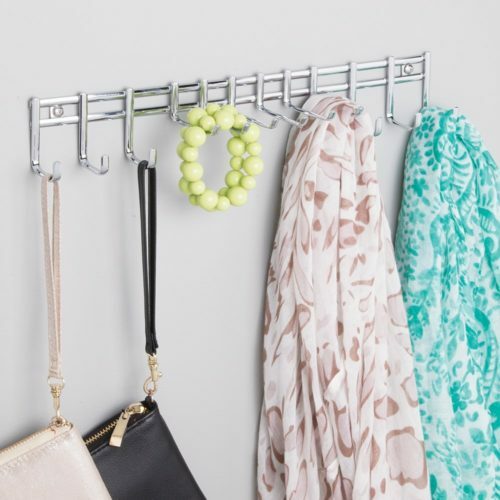 You can organize the tiniest of closets with these versatile storage hooks. So many people tend to forget the back of the doors when organizing their closets. There are tons of ways you can utilize the space on the back of doors to store everything from shoes, accessories, spices, etc. 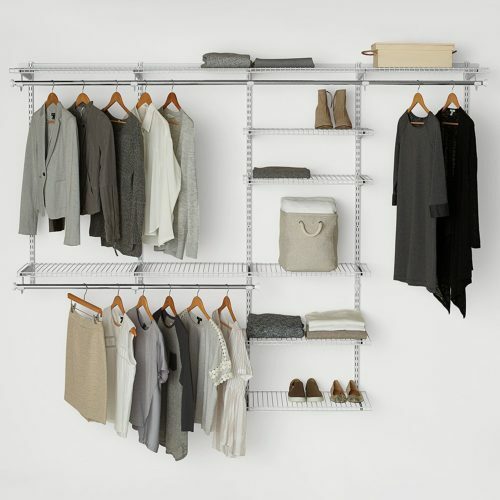 Are you inspired to start organizing your closets yet? I recommend starting with an easy closet to declutter and organize first (such as a linen closet). After that, you can work your way up to a more challenging project (such as a bedroom closet).